A graduate of the prestigious Jette Parker Young Artist Programme at the Royal Opera, Andrew Griffiths has a growing reputation as a young conductor of considerable talent and versatility. Particularly experienced in the theatre, Andrew has conducted productions for The Royal Opera, Opera North, Iford Festival Opera, Bampton Classical Opera, Early Opera Company and Paragon Ensemble Scotland. He has worked at Glyndebourne, English National Opera, Scottish Opera, Chicago Opera Theater, Opera Theatre Company, Batignano, with the BBC Symphony and BBC Scottish Symphony orchestras, and on numerous productions at The Royal Opera, including the Ring and the world premiere of The Minotaur, under conductors including Sir Antonio Pappano, Sir Mark Elder, Sir John Eliot Gardiner and Sir Charles Mackerras. He has gained extensive experience in a wide range of Baroque repertoire as a regular assistant to Christian Curnyn, and is frequently engaged as a vocal coach at The Royal Opera and the National Opera Studio. On the concert platform, Andrew has appeared with the Orchestra of The Royal Opera, the Orchestra of Opera North, Southbank Sinfonia, Thames Sinfonia and Orpheus Sinfonia. An experienced and sought-after choral conductor, he is regularly invited to direct the BBC Singers, with whom he has recorded a series of programmes for BBC Radio 3; other engagements include New London Chamber Choir and the choirs at Dartington International Summer School. 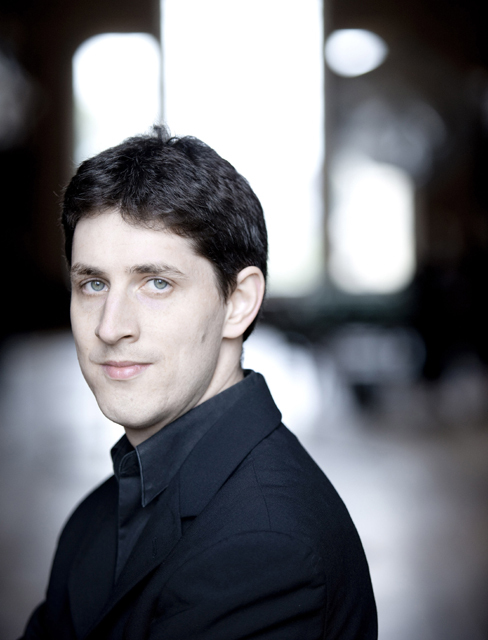 He is Musical Director of chamber choir Londinium and of Kingston Choral Society, with whom he recently made his Cadogan Hall debut in Bach’s St John Passion. A pianist, viola player and singer by training, Andrew began his musical education as a Quirister and Scholar at Winchester College, and graduated with distinction in music from Gonville and Caius College, Cambridge, where he held a Choral Exhibition. He pursued conducting studies under Martyn Brabbins at the Royal Scottish Academy of Music and Drama, and trained as a répétiteur at the National Opera Studio and at Scottish Opera. He is a former principal viola of the National Youth Orchestra of Great Britain, and a founder member of vocal consort Stile Antico. In 2008 he was chosen to receive the Wagner Society’s Bayreuth Bursary. Andrew’s recent engagements include debuts with Opera Theatre Company (Così fan tutte), Mid Wales Opera (Don Giovanni) and Forestbird Productions (Idomeneo), and return visits to Bampton Classical Opera (La finta semplice), the BBC Singers (Howells, MacMillan and Ives) and Cadogan Hall (Haydn’s Creation). Other recent projects include second conductor / chorus-master for Birtwistle’s Gawain with the BBC Symphony Orchestra, and assistant conductor for Jonathan Harvey’sWagner Dream at Welsh National Opera, Tristan und Isolde at the BBC Proms and Rodelinda at English National Opera. Forthcoming highlights include CPE Bach at Dartington, Mahler at Wilton’s Music Hall and Monteverdi at Opera North.